Bake uncovered about 20 minutes or until no longer pink in center and juice is clear. Heat chili sauce and jelly in Dutch oven over medium heat, stirring contantly, until jelly is melted. Stir in meatballs until coated. Simmer uncovered 30 minutes. Serve hot with toothpicks. 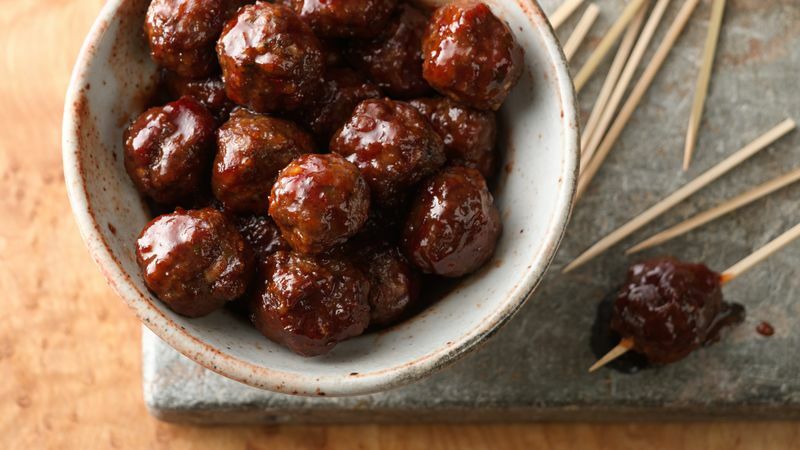 Handle meatballs as little as possible when forming them to keep them moist and tender. This mouthwatering sauce is just as scrumptious when used with prepared frozen meatballs or smoked cocktail sausages.